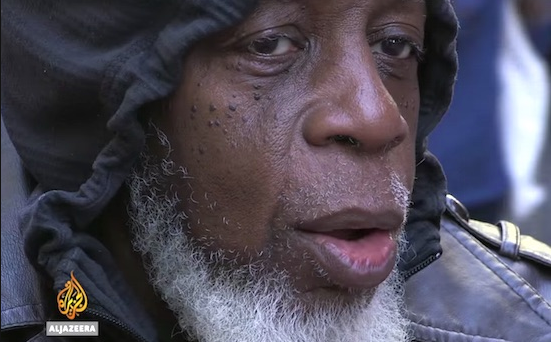 Otis Johnson was recently released from prison after spending 44 years. He was 25 when his sentence started, and was released when he was 69. On the outside, he quickly realized the world was a very different place -- downright futuristic compared to the world he left behind back in the late 1960s. In an interview and video for Al Jazeera, Johnson recently visited Times Square in New York City, where he was surprised and confused by the modern technology surrounding him: People "with wires in their ears" listening to music who looked like CIA agents, pedestrians "talking to themselves" on their iPhones, and neon video billboards illuminating storefront windows. Johnson offers a fascinating perspective on our world today and the modern technology that many shrug off and take for granted. You can watch the entire video below, or read Al Jazeera's in-depth interview with him here.